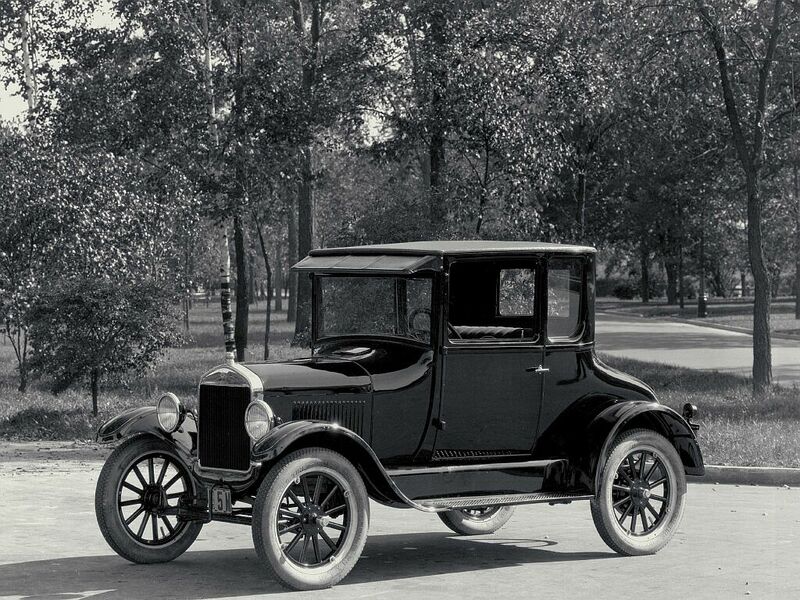 This picture is a photograph and it shows a Ford T model, the most popular car in the 1920’s and also a symbol for the consumer society at that time. The format is .JPG and its size is about 233 KB, which is typical for pictures of this kind of quality. The authors name is Rodney and the picture was taken for a webpage that shows several different types of T models in different angels or in action. The intent of that website is to create a smile in the faces of car lovers and people that care about the history of cars, and especially cars that were built by Ford. The date when the picture was created is unknown to me since there is no date given and since the picture has a really good quality, it is hard to estimate. It was taken in black and white, which doesn’t necessarily mean that it was taken before colored pictures were invented, since there are multiple computer programs that could change a colored picture into a black and white picture and the other way around. However, I assume that it was published in 2013; the same year the related YouTube clip of a Ford T model on the website was published (in case, here is the link for the YouTube clip: https://youtu.be/i1LesV4QhlM). Nevertheless, I would say that this picture has a great quality and an excellent condition. Furthermore, the black and white colored style of the picture makes it even more attractive and more connected to the 1920’s. I’m pretty sure that this picture was created after the time period of the 1920s and the consumer society, because otherwise the condition of the photograph would be way worse. In addition, I would say that this picture possesses a modern context, since the production line of the Ford T model changed everything and is still affecting the production of cars nowadays. I found this picture on Google, since Google has the biggest database of pictures in the Internet. The reason why I chose this photograph is that Henry Ford, a business man, owner and creator of the Ford car Company, and his genius idea of raising the salary of his workers in order to win them as a customer as well fascinated me. Furthermore, he invented the production line, where a worker had only one responsibility in the whole production chain of the car, which gave Ford the opportunity to produce his cars faster than ever before. Additionally, in my perspective, his inventions changed, developed and shaped the economic process of the whole country and maybe the whole world, since his techniques are still in use in some industries all over the world. Therefore it was easy for me to choose this picture, because I was fascinated by Ford and the T model, since we talked about him in our small section. I also presented about the consumer society in the 1920’ s, which ended in 1929 with the stock market crash, as discussion leader in the small section. The 1920’s were called consumer society, because a majority of goods were bought on credit and many products, like cars, became available to a broad spectrum of individuals from different layers in the society. Again, Henry Ford and his ideas to improve the production and profitability of the company amazed me and therefore I chose this picture, because I wanted to write about him and the T model. We were talking about several movements and also about movements that fight for the right of gay couples. this reminded me of the Christopher Street day in germany, which is a huge event for the homosexual community. They walk through streets and celebrate their rights but also to raise awareness of the inequality in other countries. 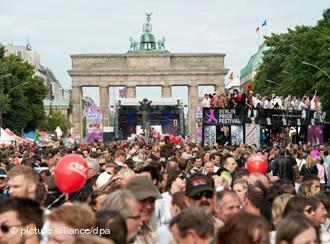 In the end they all gather in berlin in front of the Brandenburger Tor , which is an historical building in germany, and people hold speeches and music is played. I think this event is very important since it is very popular in germany and it takes place in front of a historical building, therefore they can raise a tremendous amount of awareness for they movement and community. This picture shows Alice Schwarzer, she is the most famous feminist in Germany and publisher of the magazine EMMA, which is a magazine for women. I just read an article about her not paying taxes, which took her some credibility. 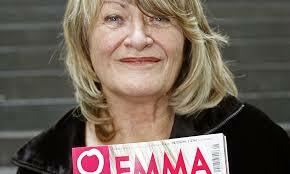 Nonetheless, she established the feminism movement in Germany in the 1970’s. Her main topic was the abortion and the tremendous pressure that women have to deal with since it was not legalized at that time. However she fought for the legalization and was successful. Another topic of her movement was the position of women in the society and equal rights. 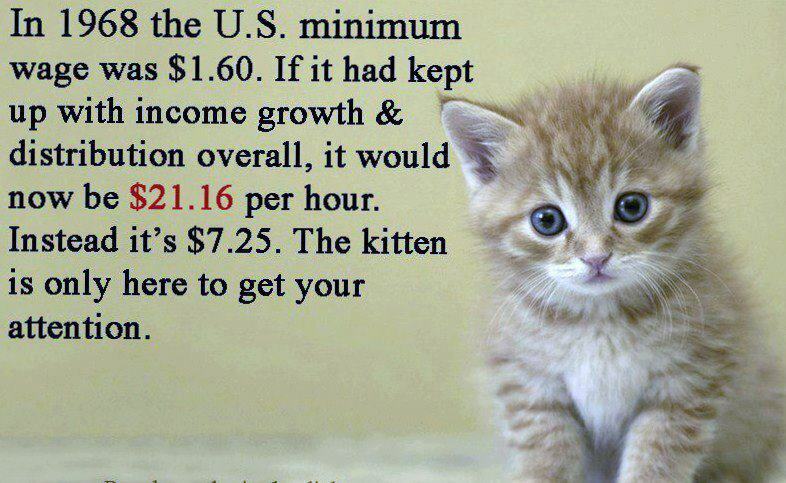 Since men had way more chances to get a good job and to get paid a better salary. However there is a big discussion going on right now about having a fixed percentage of women in leader positions, which i think is not a good idea since leader positions should be given to persons who are leaders and earned it to be in that position , which has nothing to do with gender. Since we talked about feminism in the lecture, I think that the feminism movement has achieved a lot in the last decades but there is still too much inequality in easter countries, where more woman like Malala are needed to raise awareness of the situation in order to change it. 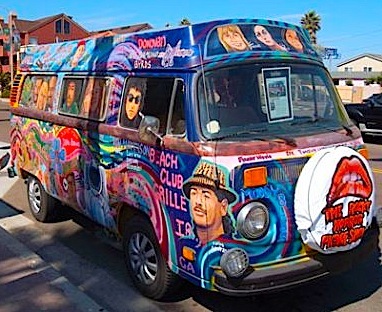 Recently Dr Putman was talking about hippies and i found this picture of a Volkswagen, which is completely painted by hippies with their slogans and other stuff. Furthermore, this kind of Volkswagen is also kind of a symbol for hippies an their freedom. I think that it actually doesn’t look that bad. 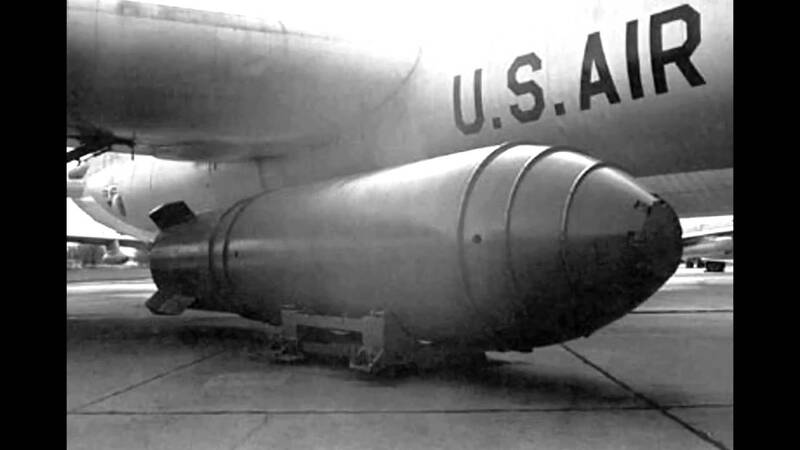 since we were talking about the cold war and the fallout shelters i found this picture with an atomic bomb and an us air force plane in the back. This picture is symbolic for the cold war since the atomic bombs played a big role but stayed on the ground. 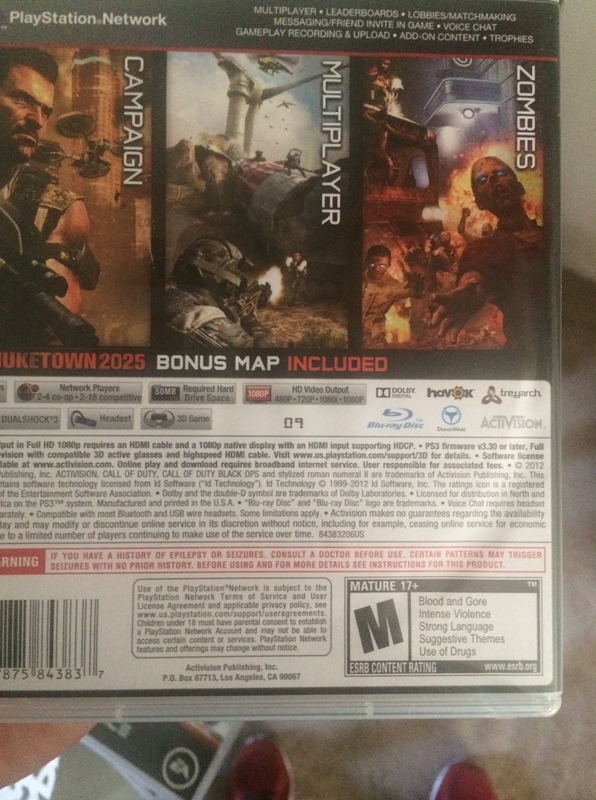 This is my hack , it is the back of the Call of Duty game and as you may see, there is a small advice on the left side on the bottom that say that this content is only for people over 17 + . In the beginning of this semester , Ms Zeiner was hacking Prof Blums lecture and talked about the explicit content of CD’s and movies. This hack shows another form of explicit content that is only available for ” adults ” .